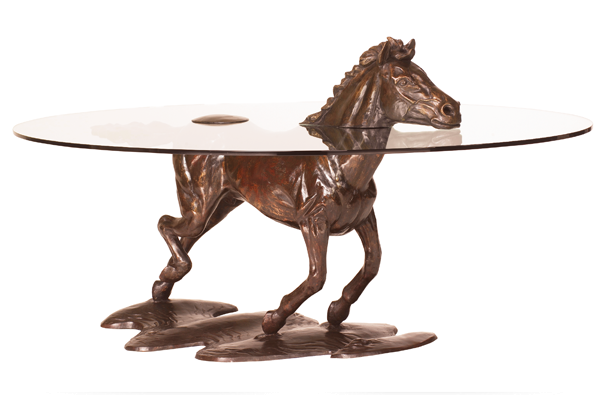 Mark's range of beautiful bronze sculptured furniture is painstakingly created using a traditional casting process ensuring the finest of results and exquisite detail in his pieces. The journey begins with Mark photographing his subject for example a tiger, in the wild. From multiple photographs he will then settle on a position and style for the intended piece. The piece will then be sketched, designed and eventually carved from wood, clay or wax. This original sculpture must contain all the detail intended in the final piece. 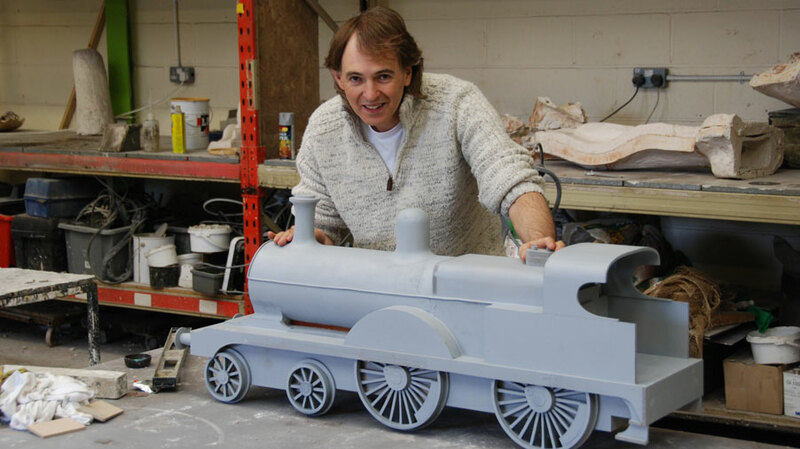 Once the original wood or clay sculpture is completed a rubber mould is then created. 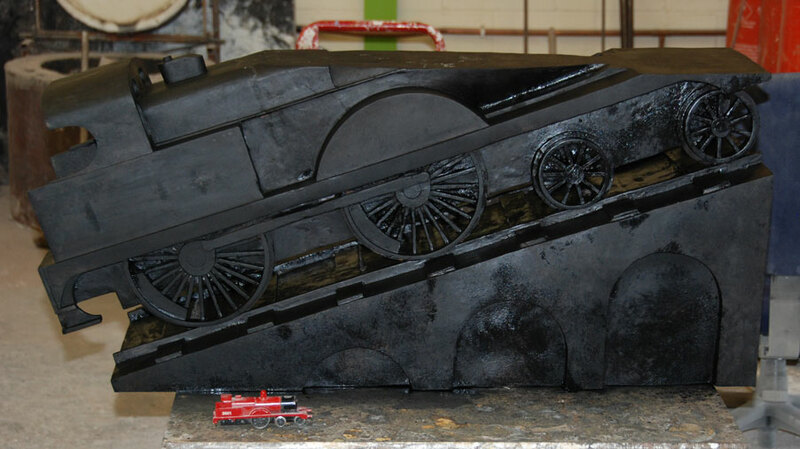 This is done by coating the original sculpture in liquid rubber and allowing the rubber to set. 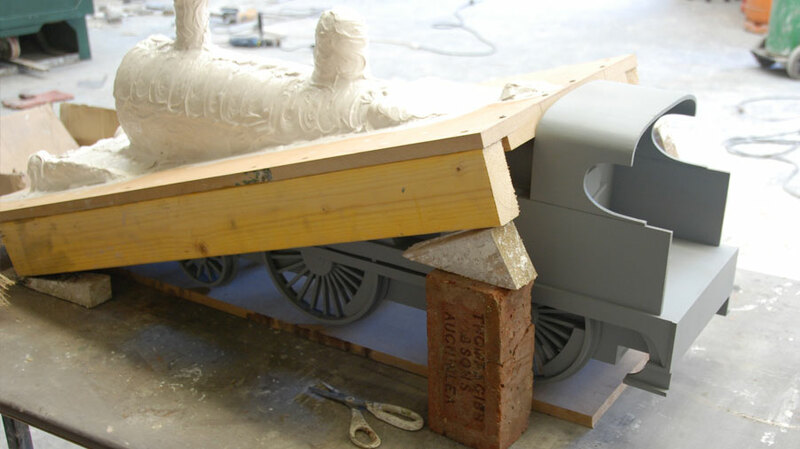 Once the liquid rubber has set, the rubber mould is coated with china clay to support it and the original sculpture is carefully removed leaving a perfect negative image of the design. 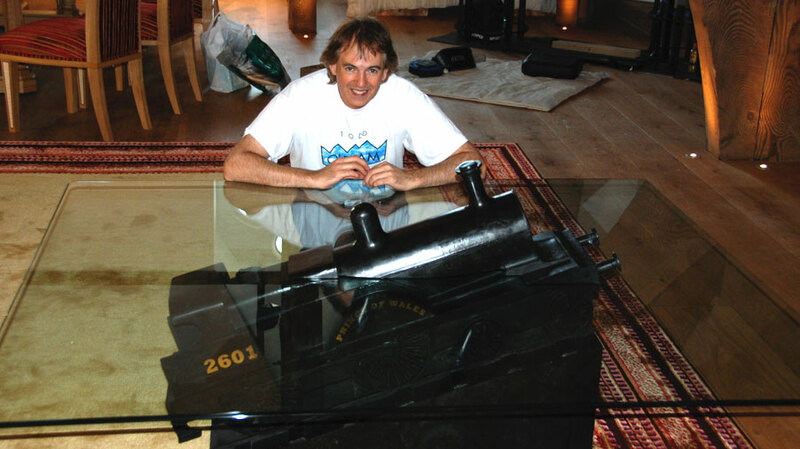 Hot wax is then painted into the rubber mould to create a positive wax replica of the original artwork. Once it has cooled the wax is removed from the rubber leaving a hollow wax cast. The hollow wax cast is coated in a water based ceramic mixture. The ceramic clings to both sides of the wax, creating a sandwich effect. It is then fired in a kiln for three to four days. The high temperatures cause the wax to melt away leaving a ceramic mould. Liquid bronze is poured into the mould. The bronze fills the cavity left by the wax creating a perfect replica of the original sculpture. The mould is then left to cool completely ensuring the bronze solidifies. Once cooled the ceramic mould is chipped away to reveal the bronze sculpture. The final colouring is applied using a combination of chemicals and heat to create an effect called patina. The wax and bronze is heated to seal the patina.